Crisp, clean lines make the perfect marriage of form and function. A distinctively deep screen can be created using the double panel screen. The Square Panel Bath Screen presents the perfect blend of form and functionality. It features a simple, minimalist design, yet is very elegant and attractive to look at. This bath screen features sleek lines and is designed to be installed in any bath. The Square Panel Bath Screen has a height of 1500mm and a width ranging from 800-825mm. The glass panel is fully reversible, making it ideal for use as a bath shower enclosure. 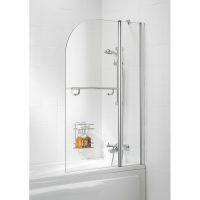 It is constructed using high quality 6mm safety glass that features an AllClear coating at no extra cost. Thanks to this unique eco-friendly coating, your bath screen will shield away and stop the build-up of grime. 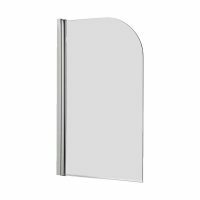 The glass panels are supported by a sturdy frame in a polished silver finish. Manufactured by Lakes Bathrooms, the Square Panel Bath Screen is a top quality product that meets and even exceeds all Australian standards of safety and quality. 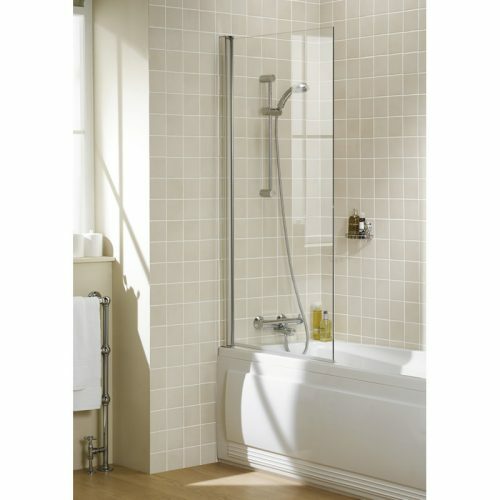 As such, Lakes Bathrooms offer an impressive lifetime guarantee on this product and their entire shower range. Make your bathroom attractive once again with the minimalist Square Panel Bath Screen. You won’t find this product available at a cheaper price anywhere else in Perth. Buy this bath screen from Ross’s Discount Home Centre today. We use only the finest materials, and it’s why you’ll find a lifetime guarantee on shower doors, enclosures and bath screens for domestic application, protecting you against any manufacturing or material defects. If it’s our fault we won’t quibble and we’ll supply any replacement parts totally free of charge. When we say ‘superior as standard’, it’s a promise that really holds water. 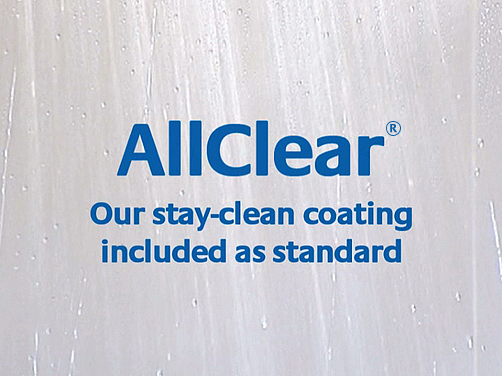 Take our AllClear® stay-clean coating, for example. Some other manufacturers offer similar coatings as an expensive extra. We apply it as standard, so you can spend more time enjoying your shower and less time cleaning it.